Reopening next week, Thursday I hear. Polish management will bring a different dimension to this West Street venue. Local paper says the reopening is to take place soon - probably in March. A new governor here, who has had a highly successful personality bypass. Stands out like a sore thumb, and a fish out of water - with all the charisma of a deaf hedgehog, with piles. If this bloke smiled, his face would crack. Welcome to Reigate mate! 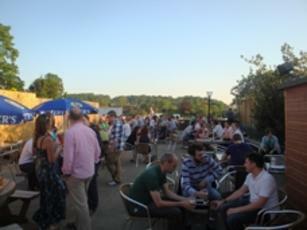 Most pleasant beer garden which gets very busy! Same management as the Red Cross, nearby which concentrates on music and TV sport. 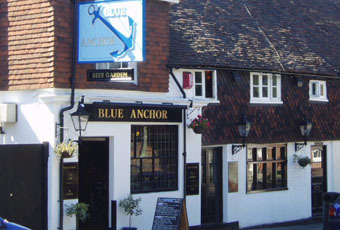 Excellent food at the Blue Anchor, good beer, quiz nights and friendly staff.